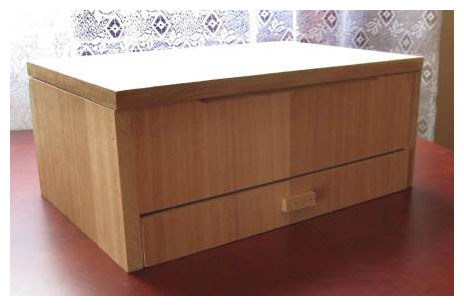 Another project I have underway is a basic jewellery box. Below is a quick sketchup drawing to give you some idea on what I aiming for. 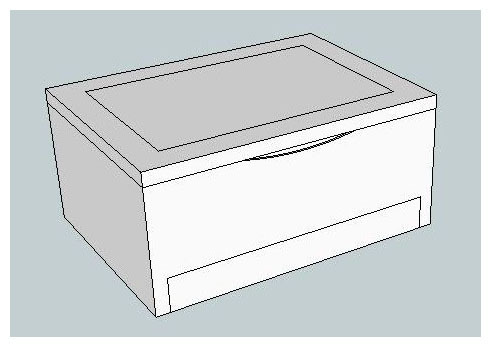 Basically its a simple box with a small drawer at the base and a pullout insert in the main compartment. If they turn out ok, i’ll make one for the Mrs and who knows might even try to sell a few. 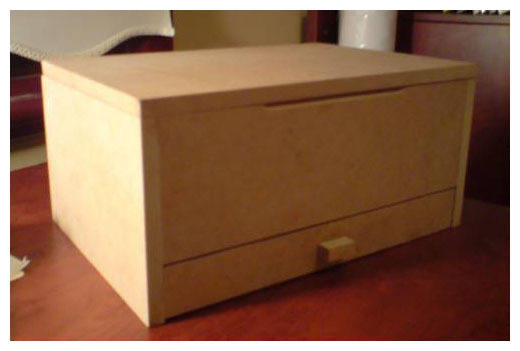 Small boxes are strange beasts while they appear fairly straight forward I tend to find them fairly hard to work on. Not sure if its the small scale or the fact that being fairly small brings all the finer details into focus and highlights any flaws in the work. Here are to camera phone pics i took while playing around with dimensions and proportions. 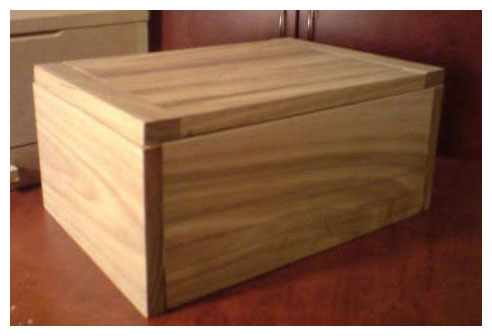 The box 2 on the left was my first attempt, while the size and shape looks good the bottom drawer is to small to be of any use. The second box while perfectly functional is too large. The handle needs some work too!